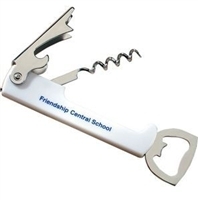 Our Vantage wing corkscrew is an Italian made model with a body made of fiber reinforced polypropylene. This Italian approach to material content assures sturdiness and strength. 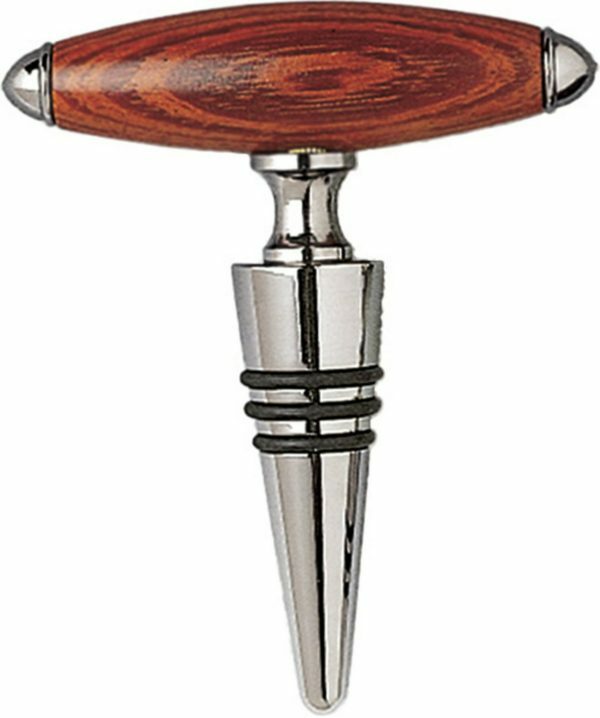 A favorably priced wing corkscrew choice, it is available in silver with black accents, or in silver with burgundy red accents, and it measures 6 1/2" in length. It offers a simple, popular, and classic design that is perfect for people in homes, restaurants, and wine bars. 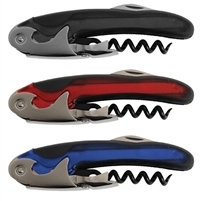 The Italian design of fiber reinforced polypropylene means that the corkscrew is incredibly durable. This allows for everyday use for the removal of wine corks, but also of bottle tops. Furthermore, the wing design means that removing a cork is effortless, making it suitable for people with slight dexterity issues as well. It also helps to reduce unnecessary strain on the wrist joint of waiters and bartenders. 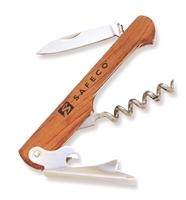 The easy grip, nonslip handles and sturdy lever arms ensure that corks can be removed with ease. It is flexible and strong, as well as being comfortable and easy to grip. 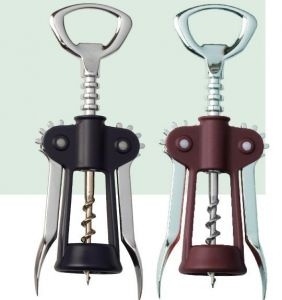 Furthermore, the top of the corkscrew acts as a bottle opener, which is made of the same Italian made fiber reinforced polypropylene, making it equally durable. Winged corkscrews have been fashionable items for a very long time, and it is unlikely that it will ever go out of fashion. It is ideal for anything from a romantic evening for two at home, to a huge restaurant in the heart of a major city where hundreds of bottles are opened each night.